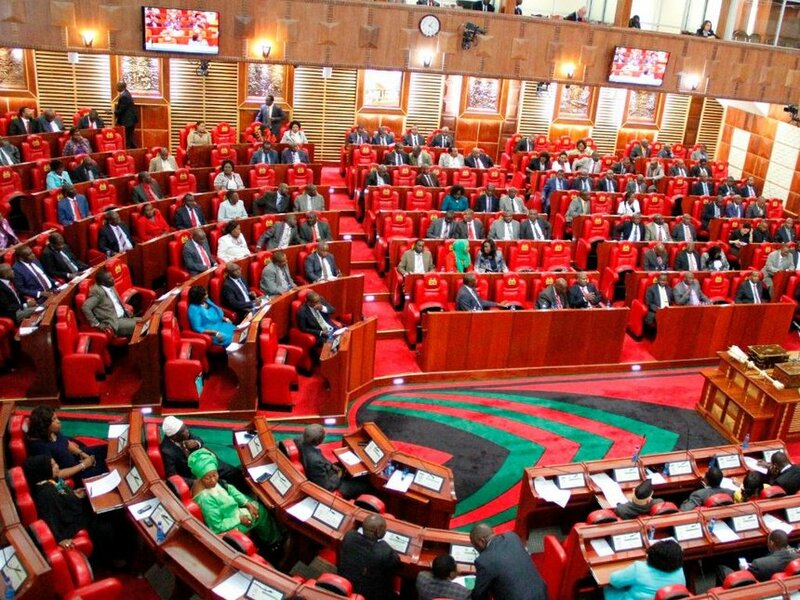 Members of Parliament have abandoned the Parliamentary Service Bill 2018 that sought to fatten their package just a day after President Uhuru Kenyatta said he will not sign it. The bill was supposed to be passed before the MPs’ Christmas recess, but it has been plucked out of the list of parliament business. However, according to media reports, the bill might not have been dropped for good and might be brought back to parliament in 2019. “I have to say this, and I know many people will get angry with me. There are some things people are trying to pass in the assembly (yet) what I have heard wananchi saying is that they are tired of this behaviour by MPs of always increasing their salaries. Even if you (MPs) hate me I will not retreat, and if you bring it (the bill) I will shoot it down (sic),”said President Kenyatta while speaking at Ndumberi Stadium in Kiambu County on Wednesday. In the bill, the MPs are seeking a rent-free house, a government vehicle, an expanded medical cover, travel allowances and an expanded constituency outreach operation funds. They also want to be given their full per diems so that they can seek their own accommodation when they travel within or outside the country. Over the weekend, former Prime Minister Raila Odinga has told off MPs for plotting to to raise their salaries terming it as grand larceny and impunity. In a statement to newsrooms, Raila said that the pay rise amounted to unfairness as the issue comes at a time other employees in the public sector, such as teachers and nurses, are going through pay restraint and accepting less pay for more work. “He (Odinga) therefore finds the Parliamentary Service Commission Bill a case of Grand Larceny and an anti-people and insensitive demand that should be disowned and rejected as inappropriate and unacceptable to a great majority of Kenyans if not all, at this time,” said Odinga. In 2017, the Salaries and Remuneration Commission (SRC) reduced the basic pay for MPs from Ksh710,000 to Ksh621,000 a month and removed the annual progression rate for the legislators. The commission also reduced the basic salaries of Speakers of the Senate and National Assembly from Ksh1.3 million to Ksh1.2 million, and slashed the pay for Deputy Speakers from Ksh1.05 million to Ksh924,000. Currently, the MPs are entitled to a Ksh20 million mortgage that is subject to an interest rate of three per cent per annum, and which must be fully paid by the end of their five-year term. The terms will cover 416 MPs in both houses, the Senate and the National Assembly.